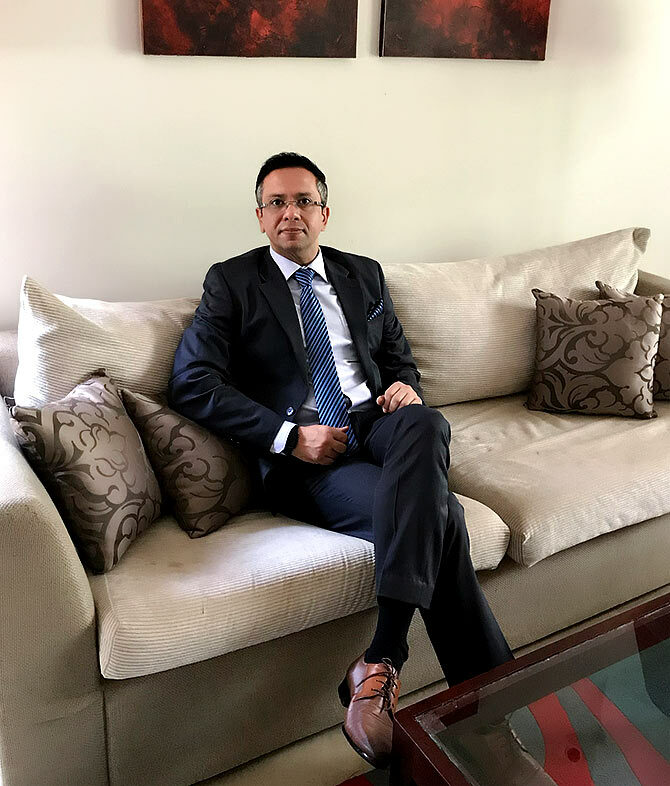 Pankaj Vasani is Publicis Groupe's executive president and group CFO, South Asia. 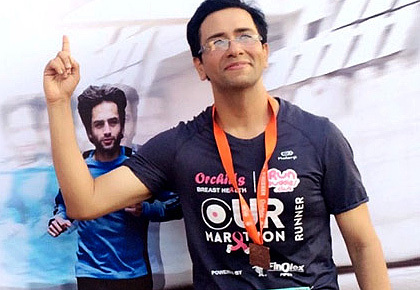 In 2015, he was part of the team that created a Guinness World Record by finishing the Satara mountain half-marathon. I have been at both ends of the spectrum. I was quite fit and active during my student days, but eventually lost focus. I became too important 'in my head' (hope you understand what I mean) and started leading an unhealthy life. There was very little physical activity. Food became a way of celebrating and coping with stress. Luckily, I realised quite early on the side effects of being lazy. There is a very simple mantra to staying fit -- consume less, burn more (calories). It is a state of mind. Physical fitness is a by-product of mental fitness. 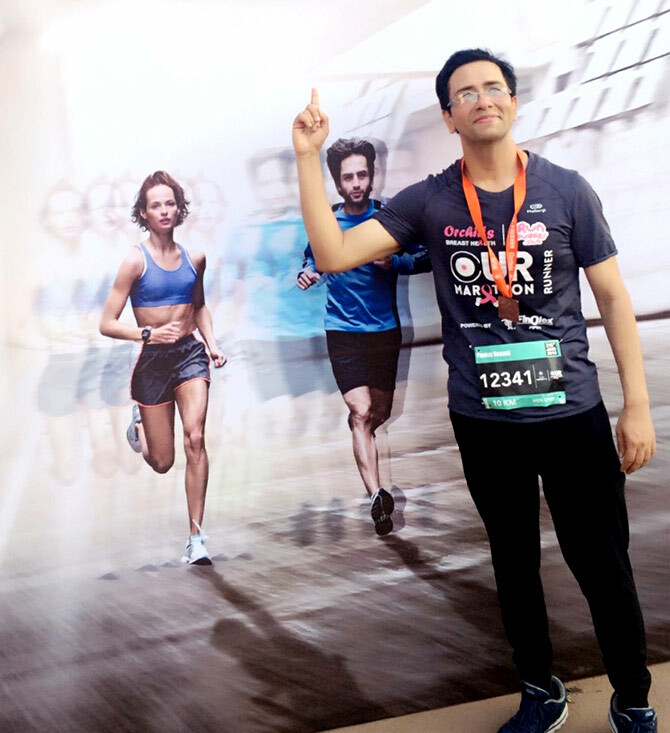 IMAGE: The idea of running a marathon or playing a sport with colleagues on Fridays/weekends inspires Pankaj. My average daily run/walk for last four-and-a-half years is 19.8 km. Not much by a professional’s standards, but it gives me a sense of resolve, satisfaction and personal attainment. Not only is it a way to purge unwanted emotions and generate positive ones, it is a lot of fun, every time. It’s like meditation for me. It helps me focus. I get my best ideas during a run or a walk. When I was employed with Vodafone, I was inspired by my colleagues in the London HQ who used to run/walk, swim or play some sport every Friday morning, together, as a team. For many years, the team in India borrowed that concept and we used to trek, walk or run marathons every Friday/weekend. Occasionally, we would also bike to work. It was not just a goodbye to the liquor and late-night parties, but also a great way to stay fit and bond. Our respective spouses/partners were quite happy with the change. While I typically do not focus on my speed or time, I do check my distance using a fitness tracker. I walk to work, in my cabin, during phone calls/meetings. I take the stairs. I often do a ‘walk-with-me’ during office catch-ups. I don’t frequent the gym (I'm not gymtimidated nor am I a gym rat). My rest days are not fixed. Neither are my walk/run hours. Morning walk or evening saunter, anything works. 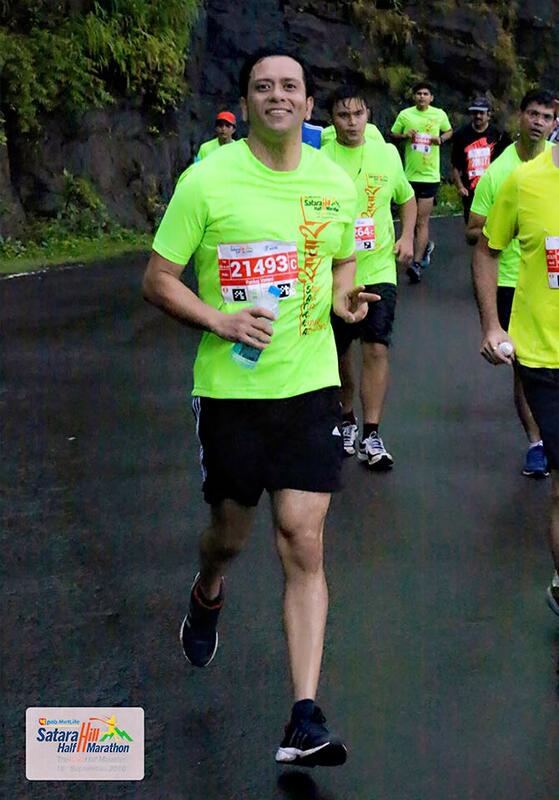 IMAGE: Pankaj was one of the finishers at the Satara Hill half-marathon that entered the Guinness Records in 2015 for 'most people on a single mountain run'; 2,618 runners were part of the record. Author Robin Sharma, in his book The Monk Who Sold His Ferrari, talks about Sumo wrestlers who subscribe to an ancient Japanese idea called 'kaizen'. This idea, to always be learning and getting better, is another virtue of the Sivana system. The sages suggest a 10-step morning routine they call the 10 rituals of radiant living to help you live this virtue. The ritual of physicality mentioned in it basically suggests that you 'move, get up, do some exercise'... whatever gets the blood flowing. I try not to take breaks from this routine even while travelling, whether for business or pleasure. I always pack a pair of comfortable shoes. I don’t believe in the theory that 'holiday calories don’t count'. 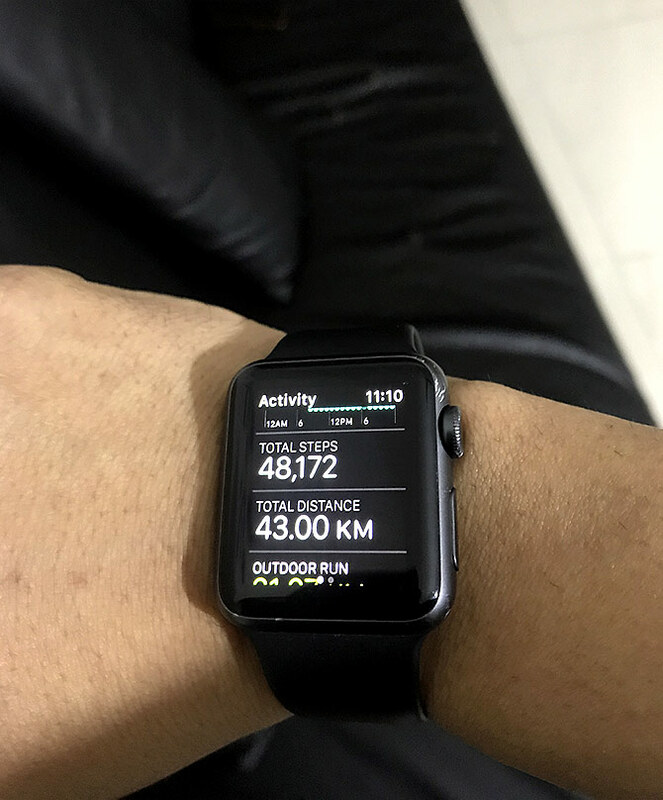 IMAGE: How Pankaj keeps track of his physical activity. For the past year, I have tried to rope in callisthenics (pull-ups, pull-ups and the shebang), besides cycling, into my regime. Again, it is not contingent on the weather. I can do it even in my hotel room. Am I very fit? No way. Am I fitter? Of course! And there’s a huge scope for improvement. I may do the Mt Everest or a triathlon someday. But it is the journey which is exceptionally enjoyable. The idea to pen this piece came while I was doing my 10k (10,000 steps) this morning. Have you recently lost weight or achieved a fitter state? Share your success stories, fitness tips, diet plans, workout videos and more. Simply write to getahead@rediff.co.in (subject: My Fitness Story) along with your NAME, AGE and a photograph of you, if possible. We'll feature the best responses right here on Rediff.com!